Illinois farmers and ranchers are unique in that they are completely reliant on the weather and having a good crop in order to run a successful farm. Because there are many weather variables that could mean the end for your crops, those in your line of work have a lot to worry about if something happens like a natural disaster or loss of revenue due to declining prices. However, if you set yourself up with a crop insurance policy you will grant yourself and your workers peace of mind in case anything ever happens to your farm in Illinois. Crop-hail insurance: Crop-hail insurance protects agricultural producers from extensive hail damage. Because states in the Midwest including Illinois, Iowa and Wisconsin are susceptible to hail storms, you will want to consider this coverage. Multi-peril crop insurance: Multi-peril coverage will provide farmers and ranchers protection form a multitude of risks including hail, excessive rain and long droughts. Additionally, farmers can receive coverage for insect damage or bacteria-related issues. 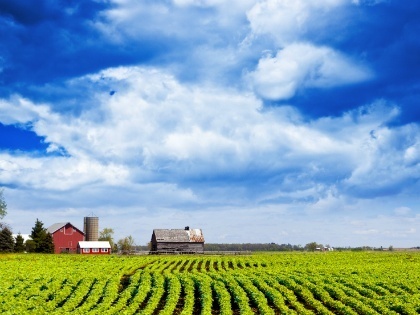 Whether you’re a farmer or a rancher in Illinois, a crop insurance policy is absolutely necessary. Given the delicate state of farms and crops in the U.S. in general, going on without this type of policy is not in the best interest of your enterprise. At The Jager Agency, A Division of Dimond Bros. Insurance, we understand the trials and tribulations that farmers and ranchers go through. This is why we want to help with our crop insurance policy. We understand the work that goes into getting a good crop out on the market, so call us today at 888.298.6006 or fill out the form on this page to get started.